NEW SEASON FEATURES: PANIC! AT THE DISCO, YOUNG THE GIANT, STURGILL SIMPSON, AND THE LUMINEERS. New York, NY (September 13, 2016)—Kicking off October 2016, the eleventh season of Live from the Artists Den premieres nationwide on public television (check local listings). 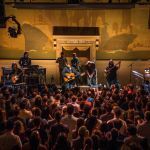 The critically acclaimed concert series provides fans an intimate music experience, showcasing ground-breaking and inspiring artists in places they wouldn’t typically find themselves. 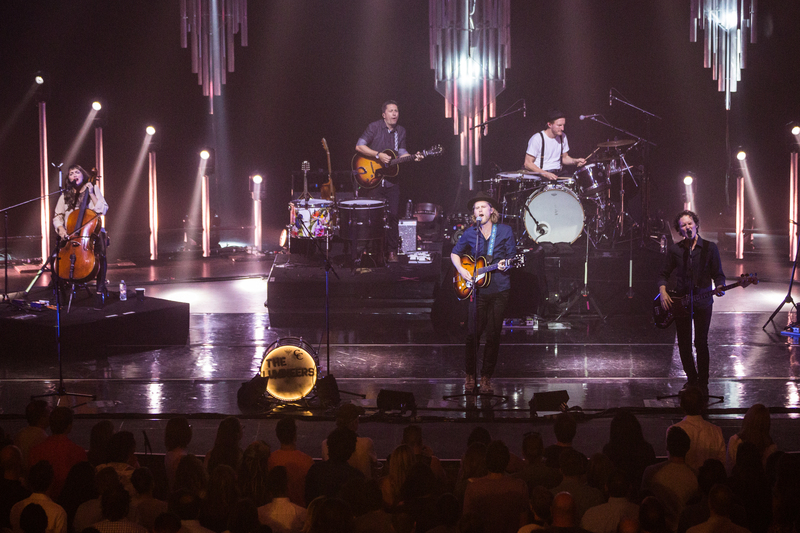 The new season features high-definition episodes from some of the music industry’s finest acts, which include performances from arena touring internationally acclaimed award winning alternative rock band Panic! 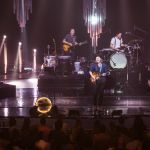 At The Disco at the historic Mayan Theater in Los Angeles, chart-topping indie rockers Young the Giant, boundary-pushing musical visionary Sturgill Simpson, and Grammy-nominated Americana group The Lumineers. Together, these four artists have sold over 5 million albums worldwide, generated more than 2 billion Spotify streams, and have a collective audience of over 9 million Facebook fans and 2 million Twitter followers. 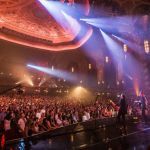 Live from the Artists Den Season 11 premieres in New York Saturday, October 8th at 11 PM on WLIW21, and on public television stations nationwide throughout the Fall (please check local listings or artistsden.com). Be the first to know about Show Announcements, TV schedules, artist videos, and more- JOIN US! 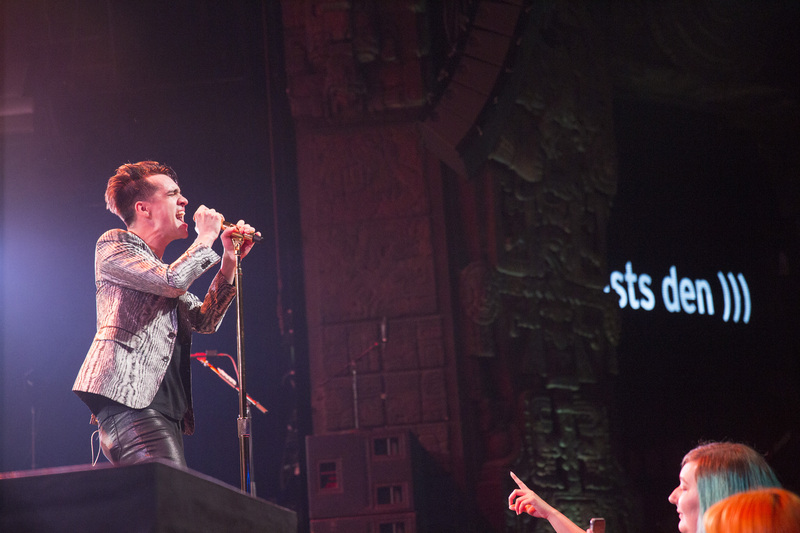 For superstar Brendon Urie, frontman of Panic! At The Disco, the opportunity to perform in a new space is what excited him the most. “There’s something about playing a new venue that’s more exciting for me, a place that we’ve never played before…I just want to learn [about] the venue and see how people react in that room,” he says of his first performance at The Mayan. 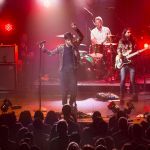 Currently on a cross-country arena tour, the experience of a small crowd created an intimate vibe for a larger-than- life band. 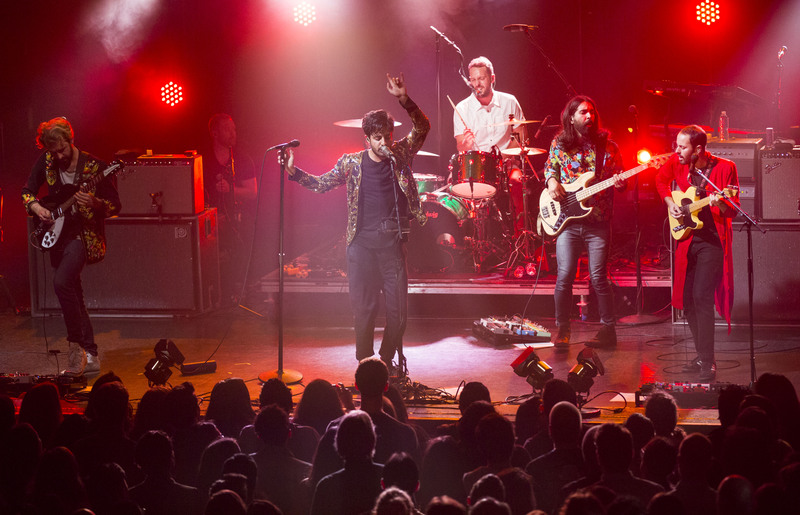 Young the Giant had the opportunity to showcase brand new music – the band’s latest album Home of the Strange had not yet been released at the time of the taping – for just 550 fans at Los Angeles’ legendary El Rey. 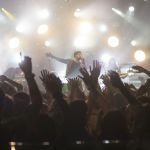 Hailing from Southern California, all of the members of Young the Giant had a special connection with the venue. “It’s actually great to come back here. 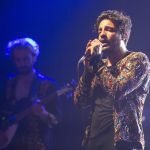 We haven’t played here for a long time, and I think it enriches the experience for us,” says lead singer Sameer Gadhia, who fondly recalls seeing some of his favorite bands on the same stage in his youth. 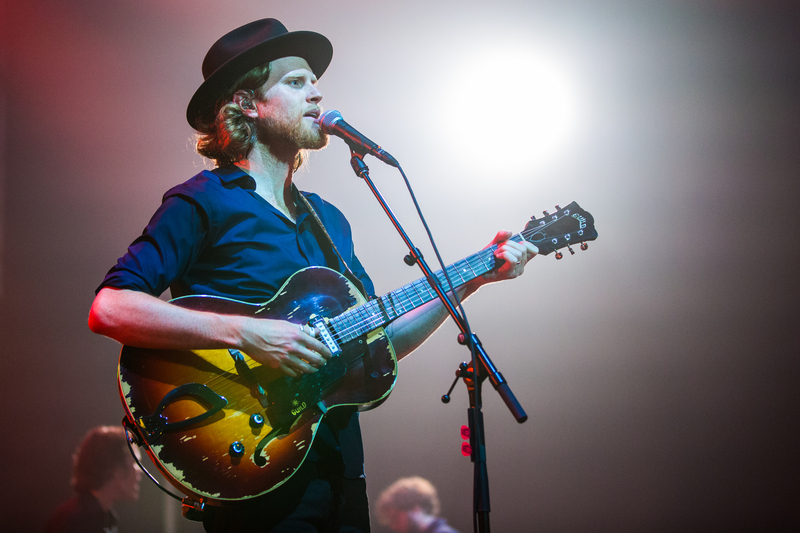 The season closes with superstar indie group The Lumineers at the historic Kings Theatre in Brooklyn. 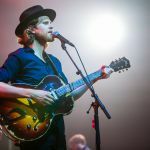 Though they are now based in Denver, The Lumineers have a unique connection to New York, since the city inspired much of their songwriting. 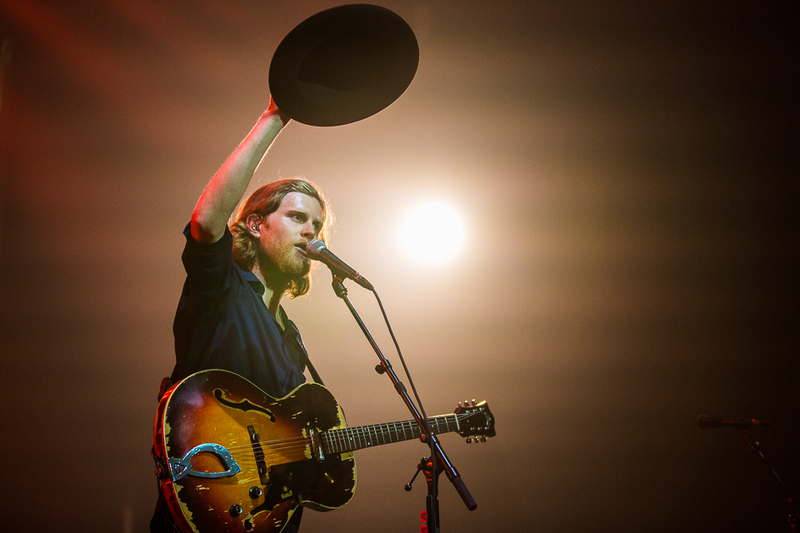 “I wrote the bulk of ‘Ho Hey’ in an apartment in Brooklyn,” says frontman Wesley Schultz of their number-one breakthrough hit. 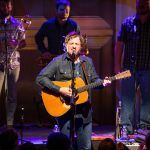 “We were known, too, in Denver as the band from New York City, which I think had its little allure,” added Jeremiah Fraites of their reception back home. 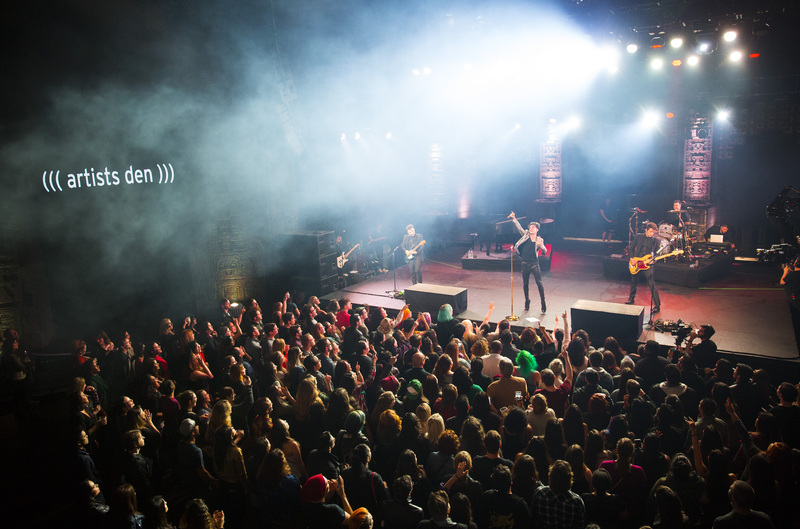 The band’s love for the city resonated deeply to the theatre of 1400 passionate fans. Artists Den secret concerts presented by Chase Sapphire Preferred® and VIP experiences are available through a special sweepstakes for Chase Sapphire® cardmembers at artistsden.com/chasesapphire. Bonus content from Season 11 episodes will be available at artistsden.com. To join the Artists Den guest list and find out about future TV tapings, go to artistsden.com/join. 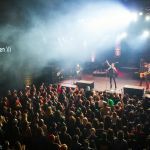 Artists Den has partnered with Spotify to create a unique digital broadcast channel, playlists, and bonus content from the new season. You can explore more on the Artists Den Spotify Channel. 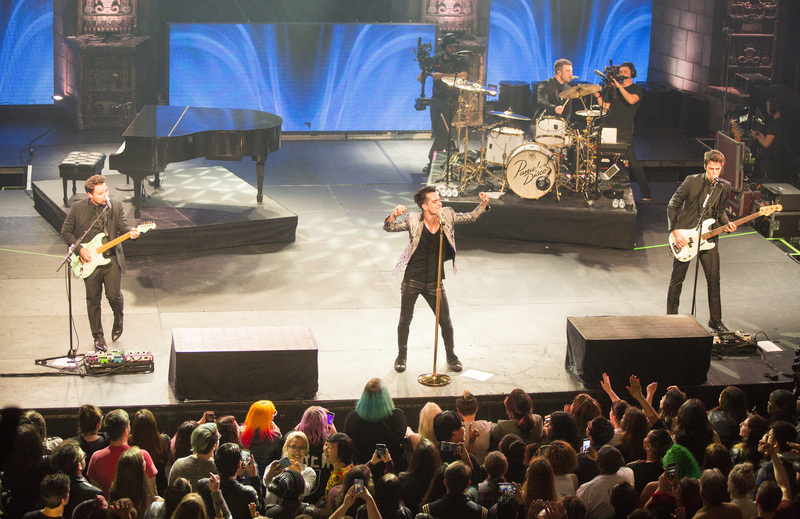 Downtown Los Angeles’ historic Mayan Theater provided a spectacular backdrop for Panic! At The Disco’s taping of Live from the Artists Den. 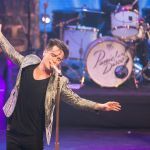 The LA-based band, led by frontman Brendon Urie, offered a boisterous performance highlighting material from their critically acclaimed new album Death of a Bachelor, debuted at No.1 on the Billboard 200 chart. 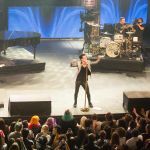 Urie and crew revisited favorites like “Time To Dance” and “Nine In The Afternoon” as well as new tracks like “Victorious” and “Hallelujah” Panic! 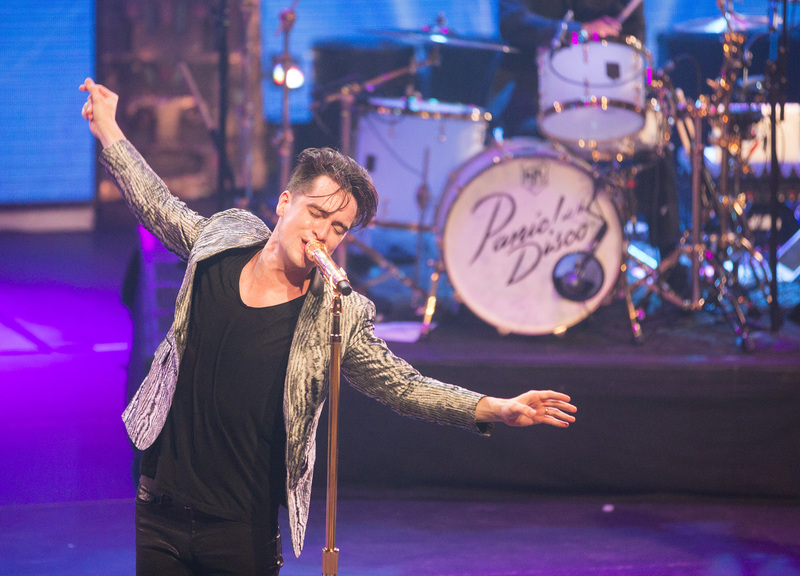 At The Disco also recreated Queen’s epic “Bohemian Rhapsody” with Urie’s falsetto taking center stage. 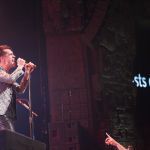 Five hundred of the band’s fans filled the ornate theater, which was originally built in 1927, and lent their voices to the night’s closing song and fan favorite “I Write Sins Not Tragedies.” Panic! At the Disco is the first episode of Live from the Artists Den shot in 4K video. 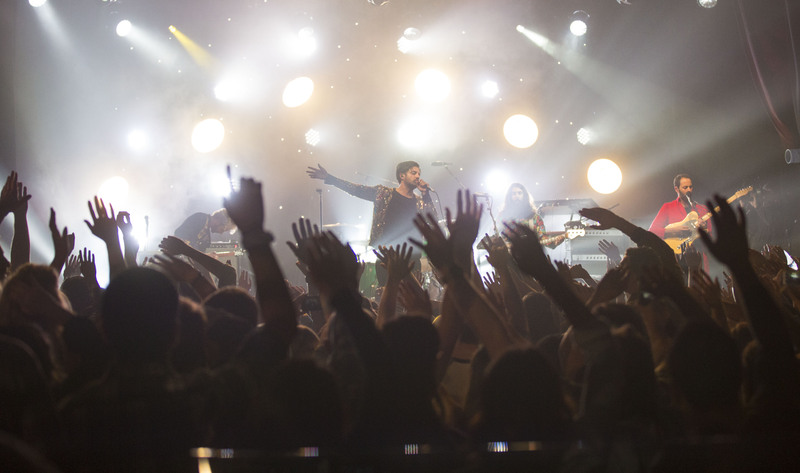 The celebrated El Rey Theatre in the Miracle Mile neighborhood of Los Angeles hosted an intimate hometown show by alt-rockers Young the Giant. 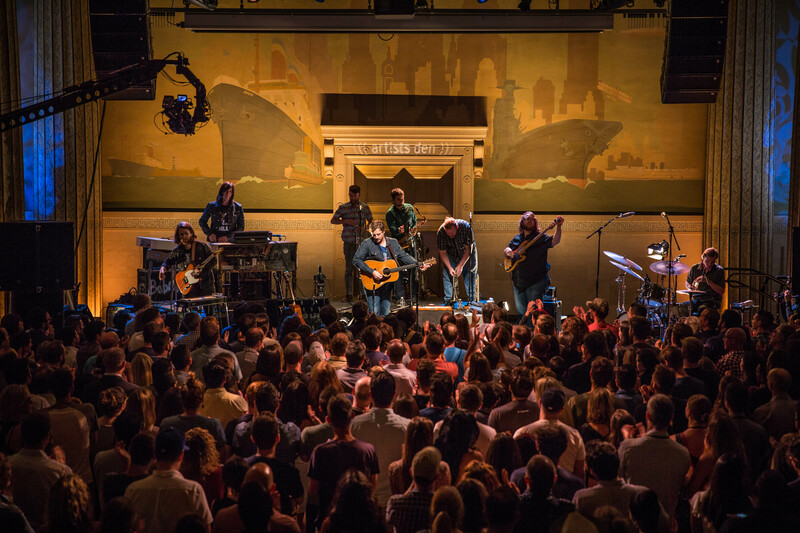 Five hundred and fifty of the band’s lucky fans filled the former movie theater turned music venue originally built in 1936. 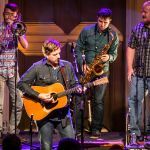 The band opened their delightful 15-song set with their exhilarating new single “Something to Believe In,” currently ascending to the Top 10 at Alternative radio. 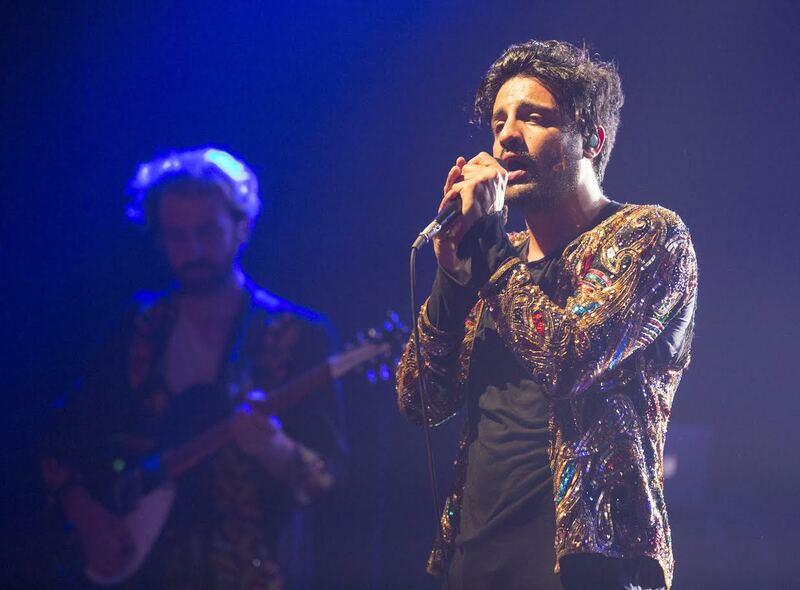 Fans were thrilled to hear older favorites such as “My Body,” “Cough Syrup,” and “Mind Over Matter.” The crowd was also treated to two more songs, “Jungle Youth” and “Titus Was Born”- both being played for the first time live- from Young the Giant’s new album Home of the Strange, which debuted at #6 on Billboard’s Top Albums chart upon its release last month. 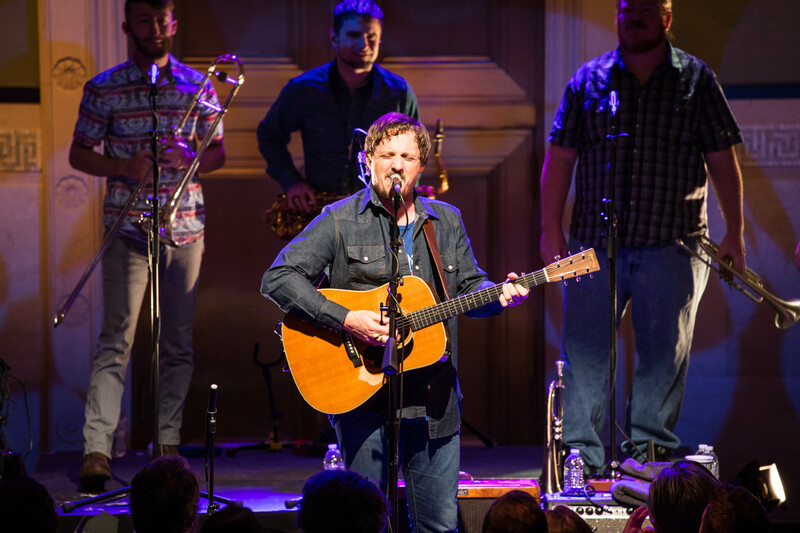 The Broad Street Ballroom, an architectural landmark in New York City’s financial district, provided the perfect backdrop for a riveting performance by country music visionary Sturgill Simpson. 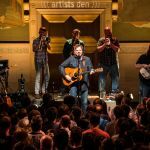 A massive mural depicting the history of seafaring wraps around the entire room, echoing the central concept of Simpson’s acclaimed new album A Sailor’s Guide to Earth, which he played in full for an ecstatic crowd of 400 contest winners and invited guests. 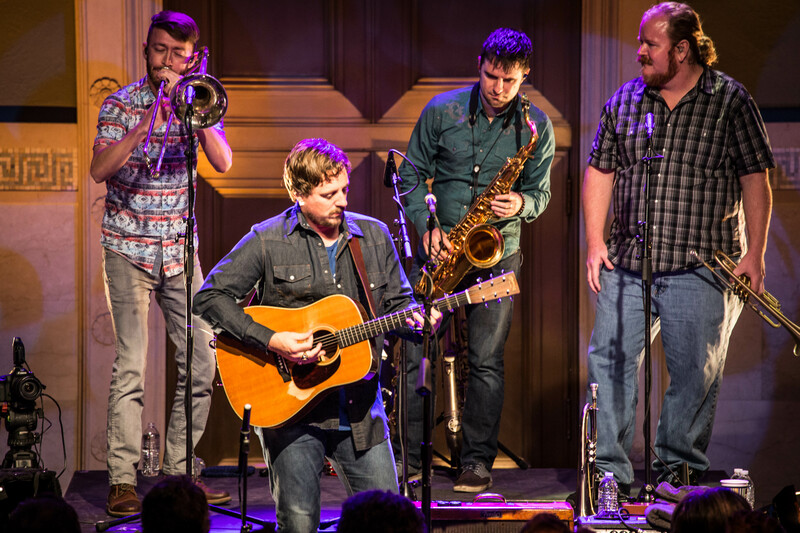 Backed by a powerful horn section, Simpson reconfigured the arrangements for songs from his breakthrough Grammy-nominated album, Metamodern Sounds in Country Music, and even delivered an emotional version of the soul classic “You Don’t Miss Your Water” to round out an unforgettable night. 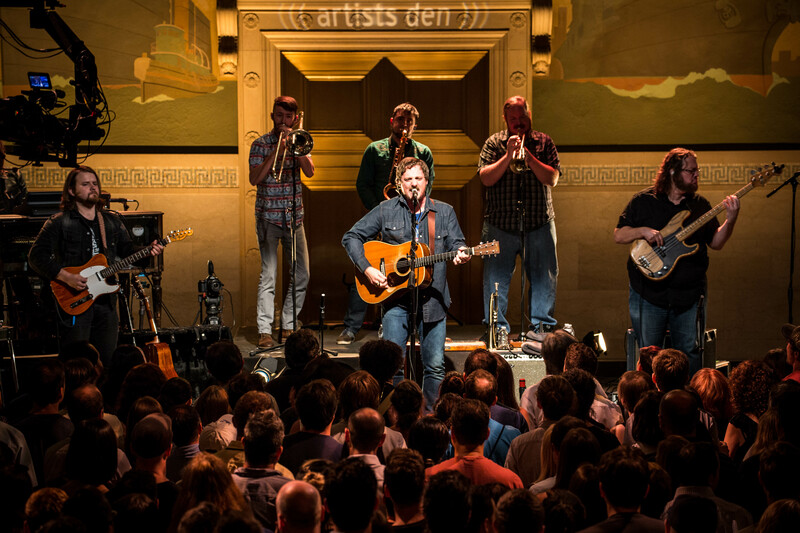 The Artists Den is a critically acclaimed television and digital music series best known for presenting small, secret concerts by extraordinary artists in non-traditional, often historic settings for the TV show Live from the Artists Den. 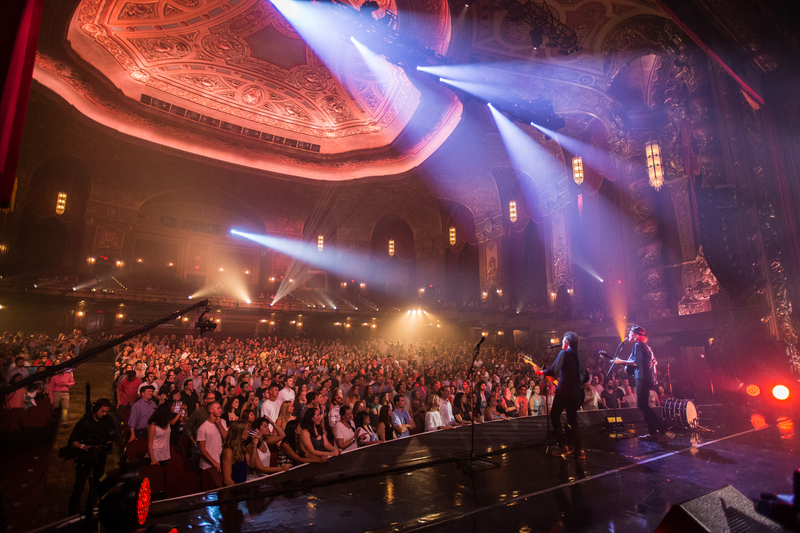 The show connects fans with a unique and intimate musical experience for some of the industry’s finest acts. 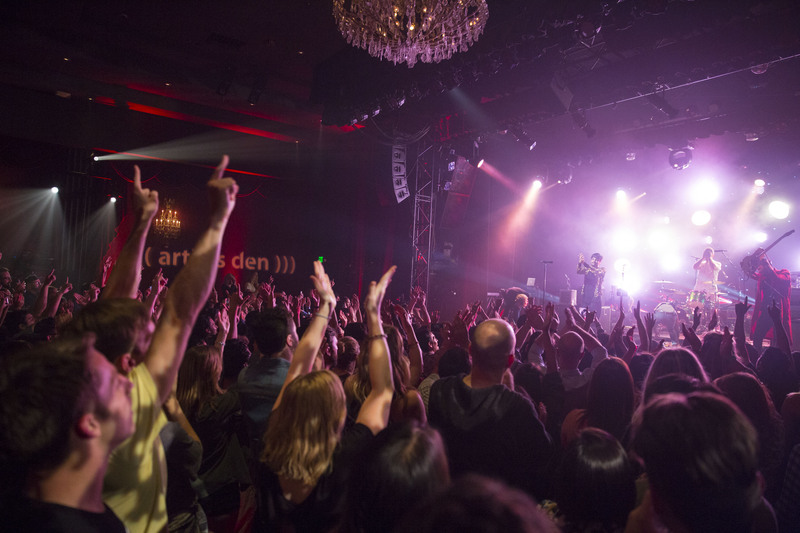 Live from the Artists Den is broadcasted nationally on public television, and internationally in the United Kingdom, Japan, Germany, Australia, Canada, Israel, and Latin America. 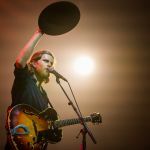 Featured artists include Adele, Mumford & Sons, Alabama Shakes, Ed Sheeran, Imagine Dragons, Sara Bareilles, The Killers, Zac Brown Band, and Hozier. Featured venues include Graceland, the first art museum in America, a 1930s silent movie theater, the world’s oldest merchant sailing vessel, the New York Public Library, The World’s Fair, and the Metropolitan Museum of Art. 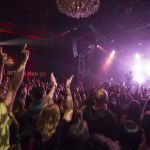 A full listing of previously featured artists, TV episodes, and venues can be viewed at artistsden.com where fans can also sign up for ticket sweepstakes. American Public Television (APT) has been the leading syndicator of high-quality, top-rated programming to the nation’s public television stations since 1961. For more than 10 years, APT has annually distributed one-third or more of the top 100 highest-rated public television titles in the U.S. Among its 250 new program titles per year, APT programs include prominent documentaries, performance, news and current affairs programs, dramas, how-to programs, children’s series and classic movies. AfroPoP, America’s Test Kitchen From Cook’s Illustrated, Rick Steves’ Europe, Front and Center, Doc Martin, Nightly Business Report, Midsomer Murders, Vera, NHK Newsline, Lidia’s Kitchen, Globe Trekker, Simply Ming, and P. Allen Smith’s Garden Home are a sampling of APT’s programs, considered some of the most popular on public television. APT licenses programs internationally through its APT Worldwide service. Now in its 11th year, Create® TV — featuring the best of public television’s lifestyle programming — is distributed by American Public Television. APT also distribute WORLD™, public television’s premier news, science and documentary channel. To find out more about APT’s programs and services, visit APTonline.org.